Chicago is reportedly going to sue the Trump administration over a sanctuary city funding. This has to do with the debate that sanctuary cities should not exist, it also has to do with immigration issues. Mayor Rahm Emanuel said: "Chicago will not let our police officers become political pawns in a debate," "Chicago will not let our residents have their fundamental rights isolated and violated. And Chicago will never relinquish our status as a welcoming city." This is happening right after Attorney General Jeff Sessions announced the U.S. Justice Department would not allow to a certain grant program unless they allowed immigration authorities to have full access to local jails and they would need to give 48 hours notice before releasing anyone on immigration violations. Chicago is expected to receive $3.2 million this year. The funding is said to be happening for purchasing equipment. It was said that the lawsuit would prevent the Trump admin from setting a precedent that can be used to possibly target other types of funding. Trump has sought to go after sanctuary cities. These sanctuary cities are basically a safe haven for illegal immigrants to live in normally. Large cities such as New York and Montreal are said to be sanctuary cities. Sarah Isgur Flores, who is a Justice Department spokeswoman said: "It's especially tragic that the mayor is less concerned with that staggering figure than he is spending time and taxpayer money protecting criminal aliens and putting Chicago's law enforcement at greater risk." 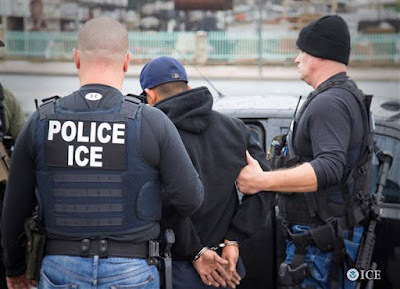 Many people think that when an illegal immigrant gets deported for a non-serious crime it can have a negative effect on immigrants in general who want to report a crime. On the other hand, many people feel those sanctuary cities are bad because they let people who are not legal in the country. This is often the case with some people feeling that illegal immigrants take jobs from legal citizens in these sanctuary cities. While Chicago's lawsuit is reportedly the first to give a challenge to the department over the Byrne program. Officials are apparently in contact with other cities, who might go down the same route. This is still a longstanding debate on immigration. It will also not be an easy win for anyone on any side of the argument because of the ever changing information that keeps being released from both sides. President Trump has had issues regarding his idea in immigration before. Trump's stance on illegal immigration has caused a lot of protest in the past. Illegal immigration has been a big issue that the Trump administration seems to want to solve.